Add the HUD mode(Like a Head-up display) which shows driving information on fullscreen. There is big speed meter on Center, date/time ,Battery Information , Driving Distance, Driving Time and Temprature. You can use like HUD by keeping visible position of your device. （You cannot use reflection to your vehicle front glass for this function.This is not real HUD. 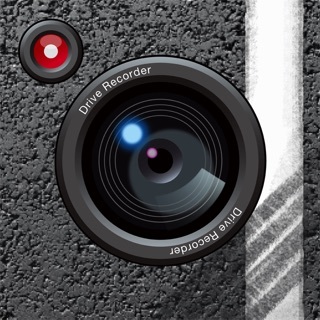 MultiDriveRecorder2 is an Event Data Recorder that show various informations such as the speed meter, map, acceleration sensor, and twitter timeline. 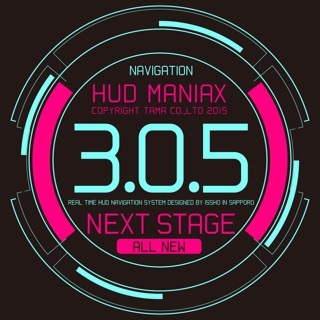 + 4th-ranked in Navi category in Appstore. MultiDriveRecorder, that is old version of MultiDriveRecorder2, ranked 4th in Navi category. MultiDriveRecorder2 has been re-designed in consideration of the ease of use. + Automatic Records before and after the Shock. 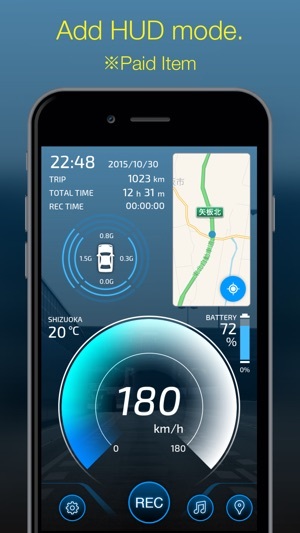 This App can sense the shock during the drive by using the acceleration sensor of iPhone. And that record one minute before and after the shock. This App use the high-performance camera of iPhone. So you can get the clearness playback. 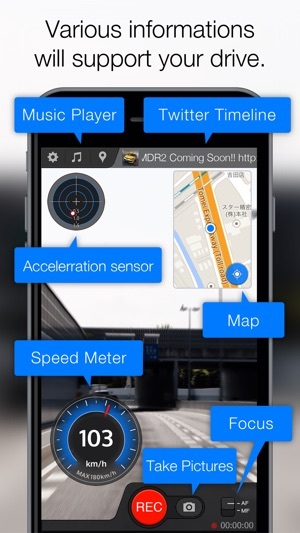 Map, Speed Meter, Acceleration Sensor, and TwitterTimeline are shown on the recording screen. They will support your drive. + Rotate the screen Portrait and Landscape. This App can rotates screen portrait and landscape. So you will change the position of the dock connector, and easier to use iPhone in the car. + Optimal size for each devices. 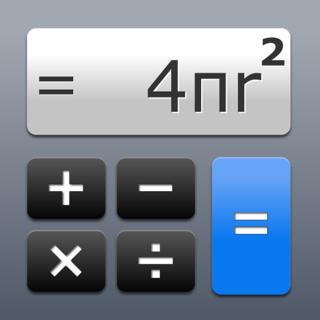 This App optimizes each of the screen sizes that iPhone4s,5,5s,6,6+. Video Quality : Video Size that recording by the hour. - The device becomes hot because this is exposed to direct sunlight. Please be careful to temperature of the device. - This app consumes considerable power, particularly for obtaining location information, so connection with a charge cable is recommended during use. - When a call or mail received, recording is stopped and saved automatically. - The display of the map requires a connection to the network. - For devices not equipped with GPS, there is a possibility that tracking coordinate and speed meter does not work. - This app stops recording automatically when free space of Disk is 1GB and less. 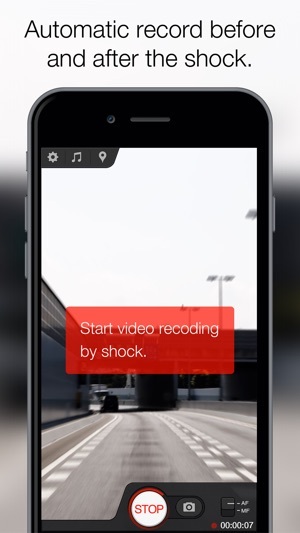 - Recording performance may be impaired in some environments or conditions. - You are responsible for your own road safety when using this device while driving. Our company does not assume responsibility for accidents caused by its operation while driving. 3.Fix the Music Player Function. For using Dropbox and Twitter Functions needs Official Dropbox and Official Twitter Apps. I enjoy the app! great quality video, sound, and seed is close to accurate as you can get with an app. Every thing works smoothly, ran the video for a 30 min but no over heating, even on the charger. I'm surprised there are no review for this app on Iphone. Only issue was closing videos after watching. Simple fix. Great job!!!!! !